PAR-2 Productions is the home of Jikkenteki and Katapult. Although the label is currently inactive the entire PAR-2 discography is available for free download from Ektoplazm! Ektoplazm and PAR-2 Productions are proud to present The Beginning Is At The End, the third studio album by Jikkenteki (Rennis Buchner). Building on the unique and individual style heard on The Long Walk Home and Flights Of Infinity, this seamlessly mixed concept album is a dark, introspective, and moody opus infused with considerable emotional depth and artistic maturity. 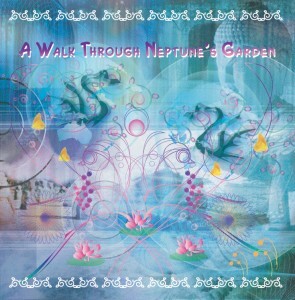 Although it is primarily a downtempo album, the heavy industrial undertones and occasional excursion into unusual psychedelic trance experiments make this a completely original production. Mastered by Akhentek at Ilum Studios, B.C. Artwork by Basilisk with photography at Kiki AKA Keely Chu’s studio in Kensington Towers, Toronto. MP3 Download | FLAC Download | WAV Download · Download count: 22,339. Released under a Creative Commons licence for noncommercial usage. You are encouraged to share, copy, broadcast, and perform this release! The audio component of this album is a single file; use the cue sheet included within the package to split it into individual tracks (we recommend the Medieval CUE Splitter for this purpose). A split version is also available in MP3, FLAC, and WAV format. Be sure to visit the Ektoplazm discography for more high-quality free downloads. 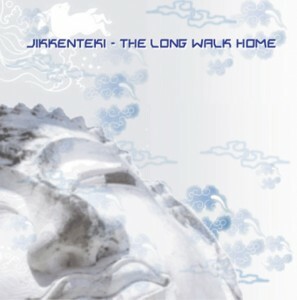 Jikkenteki‘s ambitious debut album The Long Walk Home was conceived as an exploration of the nature of duality. Originally released in 2006 by PAR-2 Productions, this epic sonic journey begins with drifting downtempo and ambient soundscapes before shifting into high gear with ripping psychedelic trance and energetic grooves. Inspired by real events, Jikkenteki touches upon the full range of human emotions–from utter joy to devastating loss–and the strange sensation that results from experiencing these conflicting feelings simultaneously. This is a concept album like no other! MP3 Download | FLAC Download | WAV Download · Download count: 21,376. Re-released in 2008 under a Creative Commons licence for noncommercial usage. The Long Walk Home appears here with the full cooperation of Jikkenteki and PAR-2 Productions. You are welcome to show your support for this generous initiative by purchasing the original double-CD pressing from the PAR-2 Productions store–it is only USD$13 ncluding shipping! 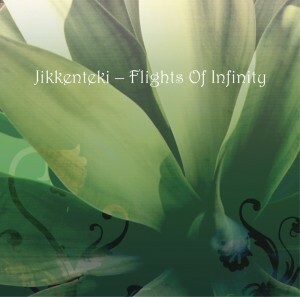 Also be sure to check out Jikkenteki’s second album, Flights Of Infinity. Water is an ever moving, ever changing force of nature. From calm cool pools and flowing rivers to raging storms and massive floods, water is many ways nature’s equivalent to human emotion. It sustains us and gives us life. It can calm us and lull us to deep meditative states. It can also assault us with an aggressive onslaught that can be both amazing and terrifying. For this reason it serves has an ideal theme for linking the music on this compilation. Rather than dwelling on any one particular “style” of psychedelic music, we have tried to create a fluid sonic journey through the whole range of emotional content that psychedelic trance has to offer. MP3 Download | FLAC Download | WAV Download · Download count: 16,388. Re-released in 2008 under a Creative Commons licence for noncommercial usage. This compilation appears here with the full cooperation of PAR-2 Productions. If you would like to show your support for this initiative, the original CD pressing is still available for sale at the PAR-2 Productions store for USD$10 including shipping! Also feel free to leave some comments here or on the existing Psynews review thread. MP3 Download | FLAC Download | WAV Download · Download count: 31,209. Time, evolution, progression. In the world of music, nothing is static. The passage of time gives us variations on themes, revives old forms, and gives us the tried and true. Time also brings listeners the unexpected, pushing the envelope and evolving into ideas divergent from which came before. PAR-2’s belief has always been that a storming track is a storming track regardless of style, content or age. Rather than focusing on the narrow boundaries of what’s “in” at the moment, Mainspring Motion is an exploration of many faces of psychedelic trance from its early days, to the present, and into the future. It is what it is, and it is what it isn’t. A good track does not degrade over time. In fact, as time passes we realize the excellent qualities of a production and can look back to see the truly innovative forms that shaped music going forward. Good music will always work well regardless of stylistic variations. PAR-2 Productions initially released the 192k MP3 preview version of Mainspring Motion under a Creative Commons licence but has recently expanded this licensing to include lossless versions of the release as well. That’s right; you can now download Mainspring Motion for free in WAV and FLAC with the blessings of PAR-2! MP3 Download | FLAC Download | WAV Download · Download count: 20,551. I know just how much work has gone into this release as well as how much of a financial loss it has been for PAR-2. 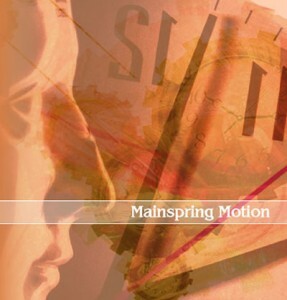 If you still make use of physical media, the CD version of Mainspring Motion is available for purchase directly from PAR-2 Productions’ web shop at the low cost of USD$10 including international shipping. Other web shops stocking this release include Saikosounds (International) and Psychedelic Garden (Japan). Should you enjoy the uncompromising creativity of this daring release, be sure to show your support!